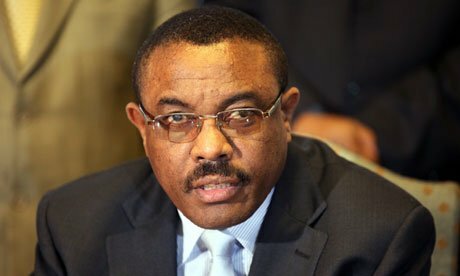 Hailemariam Desalegn, Ethiopia’s new leader, has been sworn in after the death of long-time leader Meles Zenawi in August. “I am very happy to take the responsibility of being prime minister,” said Hailemariam Desalegn, 47, as lawmakers banged on their desks in support, AFP news agency reports. Hailemariam Desalegn had been deputy prime minister and foreign minister. Meles Zenawi died last month in Brussels after 21 years in power.